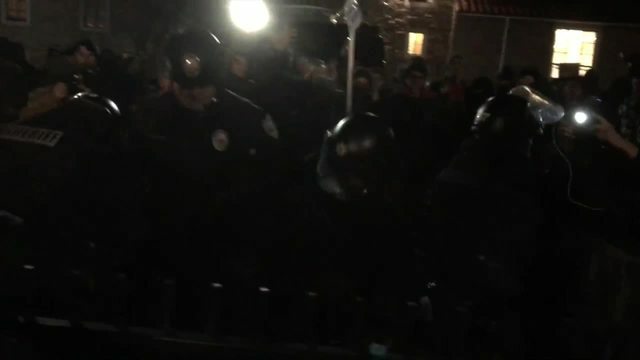 BOULDER, Colo. (AP) — A prominent alt-right activist visiting the University of Colorado railed against feminists and liberals and made jokes about Muslims, overweight people and others as about 200 people demonstrated against him, the Boulder Daily Camera reports. 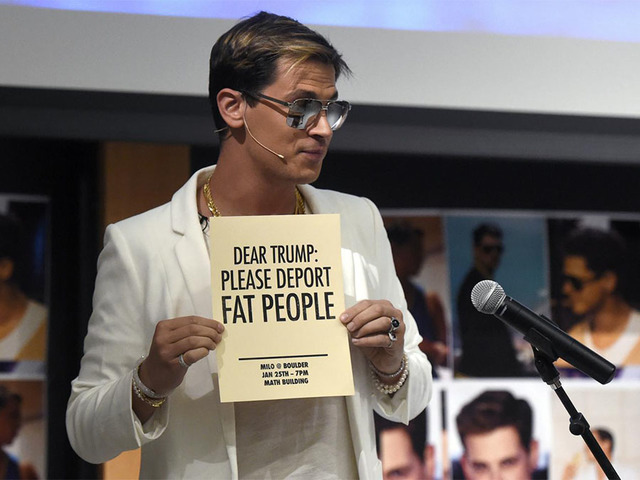 The paper says Milo Yiannopoulos gave a talk Wednesday titled "Why Ugly People Hate Me" in which he argued that the most beautiful people have conservative views and that "liberalism is the refuge of the joyless and unattractive people." Milo Yiannopoulos is an editor at the alt-right website Breitbart News. The alt-right is an offshoot of conservatism mixing racism, white nationalism and populism. The paper says he was cheered by many in the audience of about 400 in an auditorium on the campus. Outside the auditorium, protesters said Yiannopoulos spews hate speech, the paper reported .